Most of us don't spend much time thinking about materials science, but that might be a mistake. The materials that make up the tools and products we use every day, from the most mundane (paper clips, anyone?) to the ones you probably don't know exist (I certainly never heard of concrete cloth before), are fascinating not just for what they do, but for how they get that way and how we figured it out. 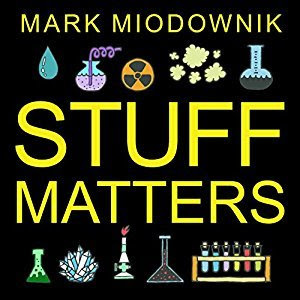 This is a fascinating tour through the world of materials science, and Miodownik is very effective at sharing his joy in it.